Industry meets art! In past decades and years, many run-down industrial sites in Europe have been renewed and refreshed. Through detailed, sometimes costly and complex renovation, those sites became public attractions. In England´s North for example, many cities like Newcastle, Manchester or Liverpool have regained whole parts of their cities by applying this way of conversion. In Germany there are also a handful of prominent examples for this successful way of converting old industrial sites into something brand new. The “Völklinger Hütte” and the “Zeche Zollverein” are probably best-known. Industrial architecture and art seem to be a “winning team.” A further impressive example for this conversion can be found in the Dutch capital city of Amsterdam. The Westergasfabriek, in the western part of the city, has become a new centre of culture which impresses by a stunning architecture, especially the old gasometer is a special highlight. This gasometer has been the stage for the 1. FRAME Awards. 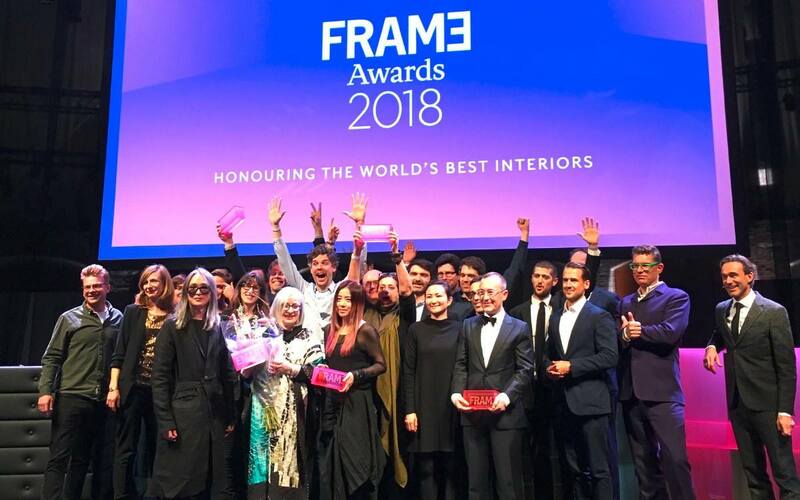 Founded in 1997, FRAME is one of the leading brands for interior design in the world. Especially the FRAME magazine is internationally renouned. This is topped now by the FRAME Awards, organized in cooperation with the German Interior Business Association (iba). In a spectacular location and show the winners have been awarded in aforesaid westergasfabriek. Beside the show, visitors and exhibitors discussed two days long in various sessions and panels the future of work, new materials at work, how to bring wellness to offices and what the future of Virtual Reality will be. All in all, a successful new format, which accompanies and strengthens big events like the office furniture show Orgatec in Cologne, Germany. Read here for more information regarding winners, jury and partners of the award.